This interview originally appeared in the online version of FREE! Magazine July 2007. Used with permission. Pamela Moore is the voice of “Sister Mary” on Queensryche’s 1988 concept album Operation:Mindcrime and it’s sequel Operation:Mindcrime II from 2006. Pamela and the band have been bringing the Mindcrime story to life on stage with a stunning live performance that features everything from costume and set changes to sharing the stage with live actors. 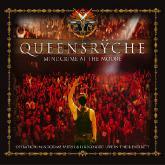 Pamela can be seen on Queensyrche’s upcoming CD/DVD Mindcrime at the Moore which captures the band’s live performance of both albums last October at the Moore Theatre (no relation to Pamela!) in Seattle, WA USA. In addition to her work with Queensryche, Pamela also has a new album of her own entitled Stories From A Blue Room. Erik Remec:The latest Queensryche tour of the States was essentially a hard rock Broadway production. The crucial difference of course, is that you and the band performed each night in a different city. How are you able to do it every night without letting the stresses of being on the road affect your performance? Pamela Moore: It was a challenge! The show consisted of three hours of music, acting, costume changes, and media! Some [venues] were not big enough to handle our full stage production so we had to improvise, which at times became a little tricky. By the end of the night, I was very happy to finally get on the bus, head to my bunk, and collapse! It really took a lot out of us all, physically. Life on the road can be a lot of fun but you need to do everything in moderation or you will be sorry. I try to eat right, get plenty of rest, drink lots of water, and take vitamins. It takes a lot of discipline but in the end you are happier for it ... physically and mentally! ER: It must also be very demanding emotionally, playing such a tragic character night after night. The story is certainly not a happy one although it does ultimately end on an uplifting note. PM: I suppose you can say it was a bit grueling having to portray yourself every night as a helpless prostitute turned drug addicted nun who kills herself!!! [giggling]. But at the end of the day, the brightest light for me was meeting the fans after our shows. The appreciation I received really boosted my morale and gave me the support and love I needed to keep things going. Besides, I was really only "play acting" ... thank GOD 'Sister Mary' isn't the REAL me! ER: I was actually at the shows in Seattle last year where you and the band recorded the new live CD/DVD (you guys did a great job!). Did you feel nervous knowing that the cameras were there or did you just treat it like another show? PM: It was a very different experience to perform the show in front of cameras and camera men and a very exciting experience for me as well. Just the feeling of knowing your performance is being captured live on stage elevates or heightens your awareness and concentration. There was something magical about it for me…I want to experience it again someday! I can't wait to see the finished DVD! It will be my first glimpse at what the show actually looked like but with those great close-ups, etc. 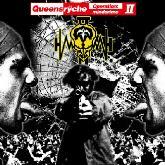 ER: You have a much more prominent role in Operation:Mindcrime II compared with the original album. Did you enjoy getting back in the studio with the guys after so many years? 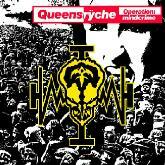 PM: I loved going back into the studio again with Queensryche. I guess you could say they have become my second family. I love and respect them so much and I feel the respect back from them as well. ER: It’s funny how life can take you in unexpected directions sometimes. Your whole connection with the band began because they heard you singing on a local radio commercial and thought that your voice would be perfect for the character of Mary in their new concept album that they were recording. PM: Yes, I am constantly reminded of the old saying "I was in the right place at the right time". It has afforded me [my career] wonderful exposure and opportunities that I am very grateful for. ER: Your new album Stories From A Blue Room is a bit of a departure from the music you’ve done with Queensryche. It still has that hard rock/metal element but there’s also this cool pop & electronica vibe. What’s the reaction to the album been like? PM: Reaction has been VERY positive. In fact, two songs I released off of Stories From A Blue Room did very well on the Australian charts! The record also received an award for the best regional record for 2006 by Northwest Beat Magazine and the record was voted #4 out of the top 10 independent releases in the Chicago-land area! ER: You wrote the album with guitarist Benjamin Anderson. Have you worked together before? PM: Ben used to be in an industrial rock band called Rorschach Test and I worked with him for a bit at a popular Seattle night club called The Fenix Underground. At the time, neither Ben or I had been doing any music projects and I approached Ben about the idea of writing together. He was up for it and the result is Stories From A Blue Room. ER: Your cousin Terri Nunn (lead singer of the 80’s band Berlin) makes a guest appearance on the song “Satisfied” on your new album. PM: Yes, what a privilege that was too. We had always wanted to sing together and this opportunity finally opened up for us. I'm very proud of her and very honored she wanted to sing with me on the record. The song "Satisfied" is one of my favorites actually. ER: Any plans on doing any touring this year to support Stories From A Blue Room? PM:Yes! In fact, after my tour with Queensryche is over in Japan, we are planning shows for this summer and fall. ER: Since this magazine is for readers living in Finland, I was just wondering if you got the chance to visit the country during your travels with Queensryche on any of their recent tours. PM: Yes we did! I believe we played Helsinki, Finland and I remember a very responsive and appreciative crowd. The venue was called "Kulttuuritalo" (I think?). I also remember how different it was to experience the sun shining ALL DAY AND NIGHT! ER: What are your plans for the next year or so? PM: I will begin writing material for my next record after my tour in Japan with Queensryche has concluded. I've also been chosen to be the voice of a cartoon character which is at the moment “in-development” here in the States. It's always been my dream to be the voice of a cartoon, so I’m really thinking positive about this one...should be a lot of fun!